​Mateja Zenzerovic was born in Pula (Croatia) in 1983. Her musical training began in at the famous “Okud Istra” musical school in Pula under Professor Damir Buzleta and Prof.Tatjana Lajic. 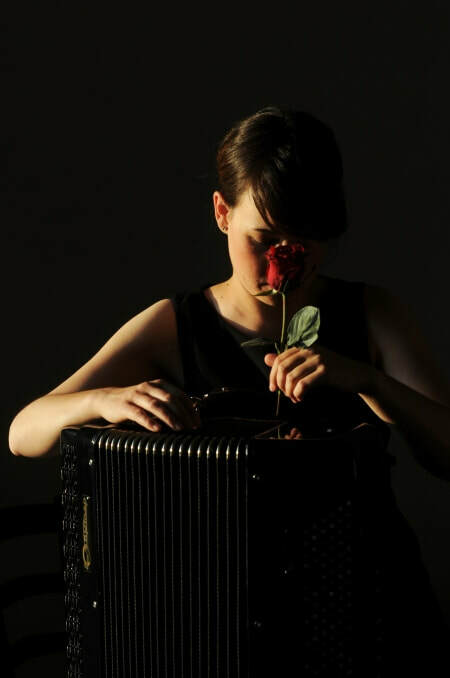 From 2001 to 2012 she studied the accordion as well as music education under Professor Elsbeth Moser at Hochschule für Musik, Theater und Medien Hannover (HMTMH), University of Music, Drama and Media in Hanover. At hat time she obtained an Erasmus scholarship and was for a semester in the Basque city of San Sebastián in the well-known “Musikene” music school under Professor Iñaki Alberdi. In May 2012 she concluded her studies with the Mitteldeutschen Chamber Orchestra under Christian Simonis. She was invited as a guest to festivals like “Mozart Woche” (Mozart`s Week) in Salzburg, “Bruecken Festival” in Rostock or the “Tiroler Festspiele” where she played under Fabio Luisi, Hans Zender and Yannick Nezet-Seguin.